Carl Matt is an awkward, lumpy fifteen year-old who just wants to be loved. Sarah, Carl and Harley’s fathers all walked out on the family and their mother, Kerry often finds them too hard to cope with. When his mother walks out on the family, apparently for good, nineteen year-old Sarah, terrified of the responsibility of raising the two boys, heads toEurope, packing the boys off to stay with their Aunt Beryl in Wattle Beach. Beryl is less than delighted at the idea of taking in the boys, until she realizes that she can keep their social services payments. However, far from filling the role of their mother, she shows the boys no love and even attempts to keep Harley chained to the house to prevent him stealing and misbehaving. Carl is miserable in Wattle Beach . His size and awkwardness make him feel self-conscious and unable to make friends at school. Even the townspeople of Wattle Beach regard the boys with suspicion, believing all the Matt clan to be useless no-hopers. All Carl wants is a family and the security of knowing that he is loved. When, at sixteen, Carl stops receiving any social security benefits, Beryl forces him to leave school. He finds work with Skip and Joy Duncan who run a rusty run-down barge from Wattle Bay to the nearby island. When Carl first starts to work for them the business is losing money, largely because of competition from a rival barge company. Before long however, Carl, reveling in finally belonging to something, shows initiative and helps to bring trade to the struggling business. He even begins to find the courage to stand up to his uncaring, manipulative Aunt Beryl. But, just as Carl begins to experience happiness, family secrets come back to haunt him and again bring his world crashing down around him. Finally the truth is revealed and Carl is forced to confront many of his demons. Gradually he begins to let down his defences and allow others in, finally accepting himself as a loved and valued member of the community. Born in Sydney, James Moloney grew up and was educated in Brisbane. He completed teacher training at Griffith University and also holds diplomas in Teacher Librarianship and Computer Education. He has taught in a number of Queensland State Schools as both a classroom teacher and a librarian. His experiences as a young teacher in western Queensland have had a profound effect on his writing, especially in his early novels. James now writes full-time and has written over twenty books for children and Young Adults. His first novel, Crossfire was listed as a Notable Book in the CBCA awards in 1993. 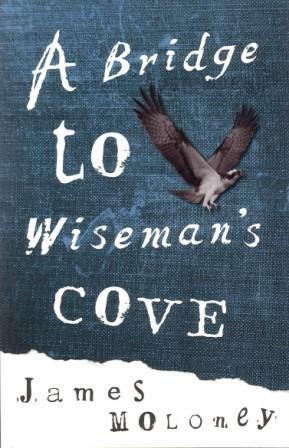 His short novel Swashbuckler won the Children's Book Council of Australia Book of the Year Award in 1996 and in the following year, A Bridge to Wiseman's Cove was named Book of the Year in the CBCA's Older Readers category. His other titles have appeared regularly on shortlists for literary prizes and children's choice awards ever since. Carl Matt wants nothing more than to be a part of a family, something he has never experienced. He is acutely aware of the fact that everyone else seems to have what he never has. For all that she is related to the boys, Aunt Beryl does not welcome them as family. She is only interested in letting the boys stay so that she can obtain their social security payments. Because of his own upbringing, Carl has little understanding of how families work. He is horrified when Skip tells Joy about Beryl chaining Harley up. Do you have to be related to people to feel a part of a family? Why are families so important to many people? What would you miss out on if you weren’t part of a family group? Are there any disadvantages in being part of a family? Carl Matt is crippled by the belief that his mother doesn’t love him. Carl himself is a gentle person with a lot of love to give. He goes to Nugent’s store every afternoon to meet the bus, hoping that his mother will get off it. He buys reflectors for Harley’s bike and a coffee plunger for Beryl, even though he receives and expects nothing in return. He constantly looks out for Harley and tries to protect him. When Harley is suspended from school for fighting with Liam Wilson, Beryl says he is Carl’s responsibility. To enable Carl to keep working on the barge, Joy takes Harley back to her house. Joy helps Harley to bake a cake which he proudly offers to all of the passengers. In contrast, when Beryl is in charge, Harley rides off on his bike and spray paints the town. She hits him across the face. Carl says of Harley He’s miserable and hurt. He’s not a wild creature, just a little boy. (p115). Is Harley a bad child, or just a young boy who needs to be shown some love and attention? Consider the different ways in which he behaves when he is with Aunt Beryl and Joy Duncan. Can loving someone help them become a better person? Maddie Duncan feels unloved by her gruff, distant father. She is in an unsatisfactory relationship with Nathan in the misconception that it is love. Justine tells Carl that Maddie needs friends rather than a boyfriend. Maddie has the family Carl craves, so why is she seeking love? Is Carl any different from anyone else in his need to be loved? Is there any truth in the phrase “love hurts”? When Carl arrives in Wattle Beach he doesn’t fit in as he is neither a local nor a visitor. He watches the other teens from a safe distance, but he never joins in. 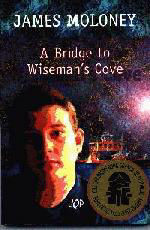 When he goes to work on the Duncan ’s barge, A Bridge to Wiseman’s Cove, for the first time in his life he feels as if he belongs. Why do people need to feel that they belong to something? Carl is big and awkward and very aware of his body. He is too self-conscious to swim, afraid of what others might say. In contrast, Justine is quite comfortable in her own skin. Do you think the other teens in the novel are as conscious of Carl’s size? Consider the effects of body image on a teenager. How can it affect a person’s self-esteem? During the course of the novel the self conscious, awkward Carl matures and begins to stand up for himself. Consider the changes in Carl throughout the novel. He is extremely naïve and hands over all of his money to Beryl. Then, once he starts working, in an effort to have her keep him and Harley he gives her all of his pay. Carl is amazed by Justine’s confidence. She is big and awkward like him, but happy and contented, and able to poke fun at herself. Carl refuses to go to the island with the others when they go to release the osprey. Carl refuses to work for Bruce. He doesn’t approve of his corrupt methods of doing business. Carl protects Maddie by standing up to Nathan at Justine’s party. Each time Carl starts to get a little more self-confident another secret is revealed and he slips back into his self-doubts. Track the development of Carl’s personality through the novel. This may best be done as a line graph showing the rises and falls in his confidence and the events that caused this. Joy keeps the injured bird safe until it is healed and ready to be released back into the world. When Carl joins Joy and the others in setting the osprey free he feels an overwhelming sense of elation and freedom. 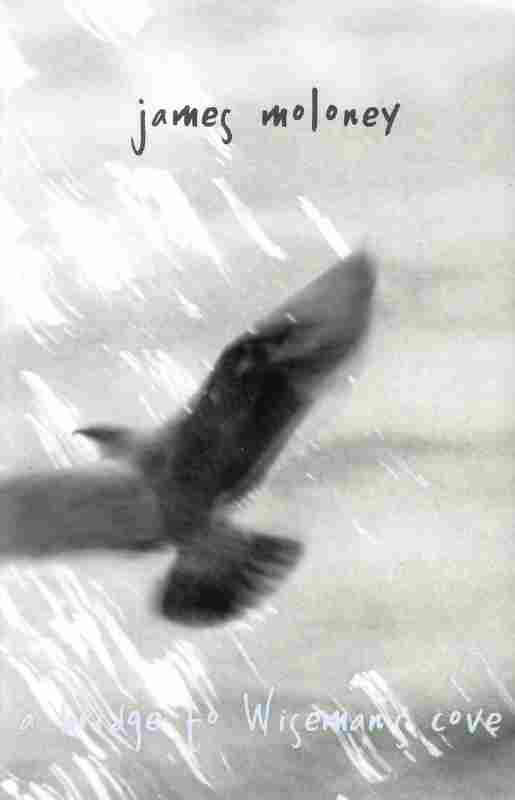 The need for ‘freedom’ is a reoccurring theme in this novel. Make a list of the ways in which it is shown in each of the characters. Carl suffers from the behaviour of his family – “the curse of the Matts”. Everyone assumes that because he is a Matt he will cause problems. Even Skip Duncan doesn’t want to employ Carl once he realises who he is. Are the Matts “rotten to the core”? Beryl feels that her family also suffered as a result of the accident. Do you agree that the Matts deserve any sympathy? What damage can it cause to have preconceived ideas of people? Can you identify any groups or people in society about which you or others may have preconceived ideas? What impact does this have on the way you view them and treat them? Consider the ‘pygmalion effect’ (people rise to the levels of expectations others have for them). Can you think of any circumstances where this may come into play? What impact does it have?